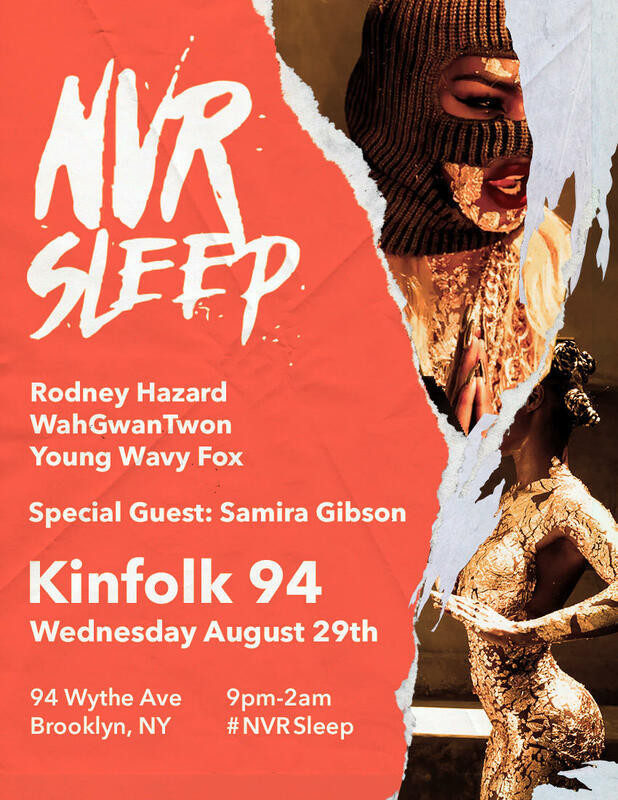 get Labor Day weekend started early with Tribal Trap vibes by Wah Gwan Twon, Young Wavy Fox + Rodney Hazard, from 9pm until on Wednesday, August 29th. Guest will also catch the premiere Samira Gibson's new video "Already Famous" at 10pm, so get there early for good vibes and Insomnia Cookies. #nvrsleep is an experimental music platform + party for today's dreamers. since 2016 we've collaborated with some of your favorite DJ's, favorite DJ's, singers/songwriters, and more. any questions? hit me on the hotline.